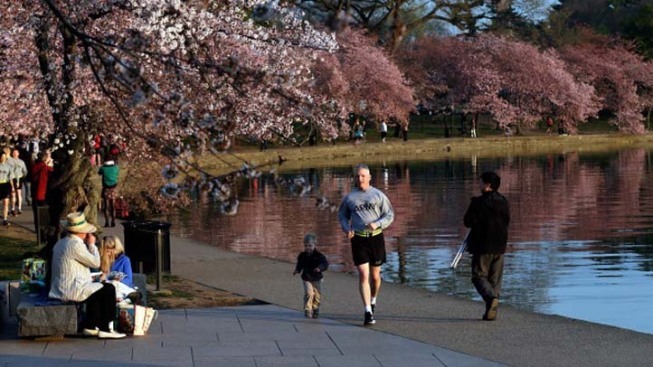 When you head out to view the cherry blossoms this spring, you may notice that a 360-year-old Japanese stone lantern that sits among the trees now has a more prominent place on the National Mall. The nonprofit Trust for the National Mall and Japan's ambassador unveiled a new granite plaza for the lantern along the Tidal Basin back in November. The $400,000 project began in April 2013. The centuries-old stone lantern sits among the original cherry trees that were a gift from Japan in 1912. The lantern and original trees are listed on the National Register of Historic Places and remain a symbol of friendship between the United States and Japan. The new plaza features natural stone boulders and a memorial plaque commemorating the gift of the cherry trees. The Japanese government sponsored the project with the Japan Commerce Association of Washington.